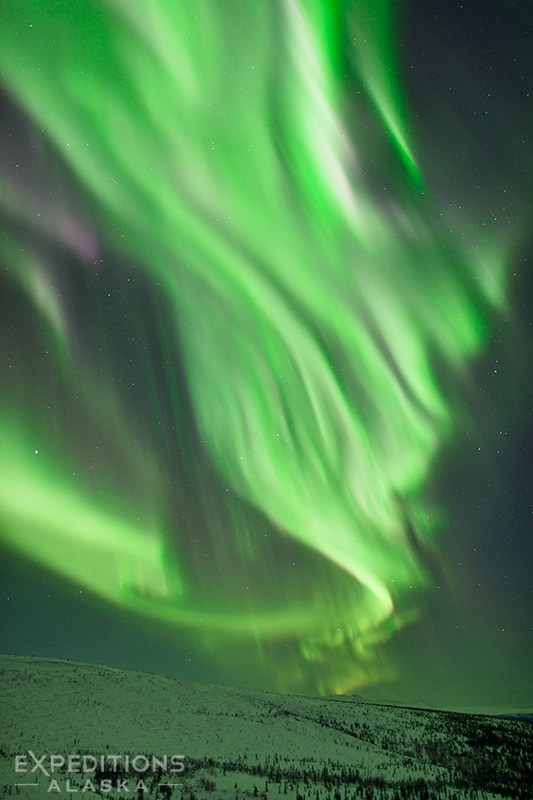 Trying something different – the northern lights and a little motion. Click on the image above to view a larger version of this photo. 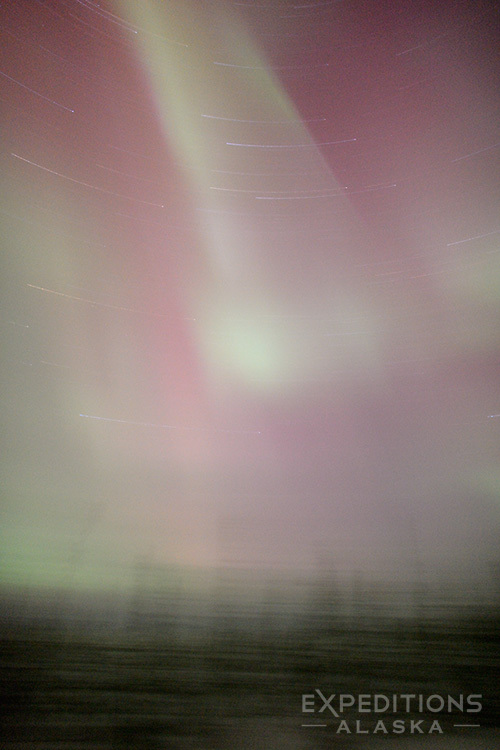 Just trying a little something different; hoping to give a little sense of motion to the northern lights the other night. Not that I’m bored shooting the northern lights, or anything; just trying to see what else might work. Thoughts, anyone? Works? Awful? WTF? This entry was posted in Northern Lights and tagged aurora borealis on February 24, 2014 by Carl D.
Photo of the aurora borealis over the Wrangell Mountains and Copper River, Wrangell – St. Elias National Park and Preserve, Alaska. Please click on the image above to view a larger version of this photo. 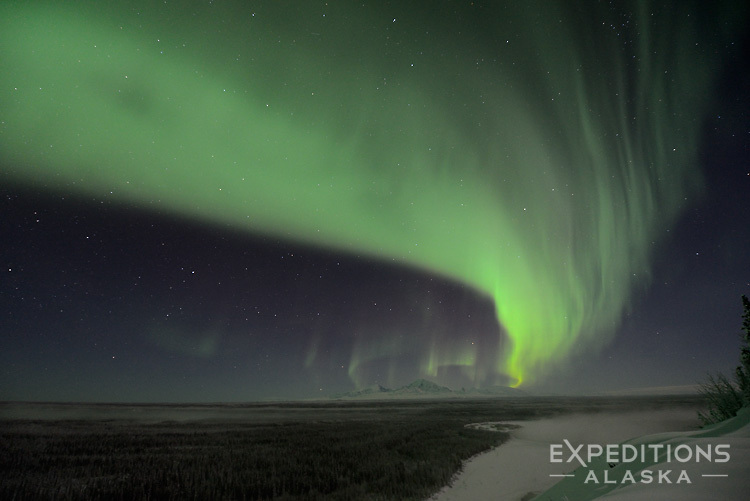 This entry was posted in Alaska, Northern Lights, Wrangell - St. Elias National Park and tagged aurora borealis, Copper River, Mount Drum, Wrangell Mountains on January 25, 2014 by Carl D.
The northern lights over the broken boreal forest of arctic Alaska. Please click the image above to view a larger version of the photo. Sorry for not keeping up with the blog these last few months. Blogging regularly is hard; really hard. Sometimes I’m busy, or behind with my image editing, and sometimes, to put it simply, I’m just not that impassioned about it. I’d like to be more disciplined about posting regularly, and more inspired to keep up with my own photography more consistently as well as that of others I enjoy, but sometimes, I think, the world of the internet is so overwhelming it’s easier to switch off and disengage than try to keep up and follow everything that flies by. I’ve probably missed hundreds of great posts around the web, I’m sure, but if that’s the worst of my recompense, well, things aren’t too bad I suppose. 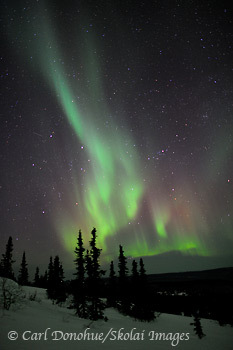 Here’s a photo of the northern lights from last March. 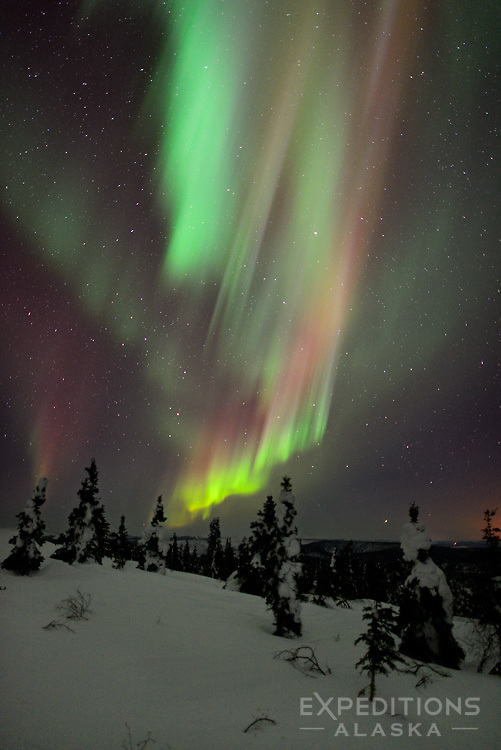 Ya gotta love the northern lights, no? 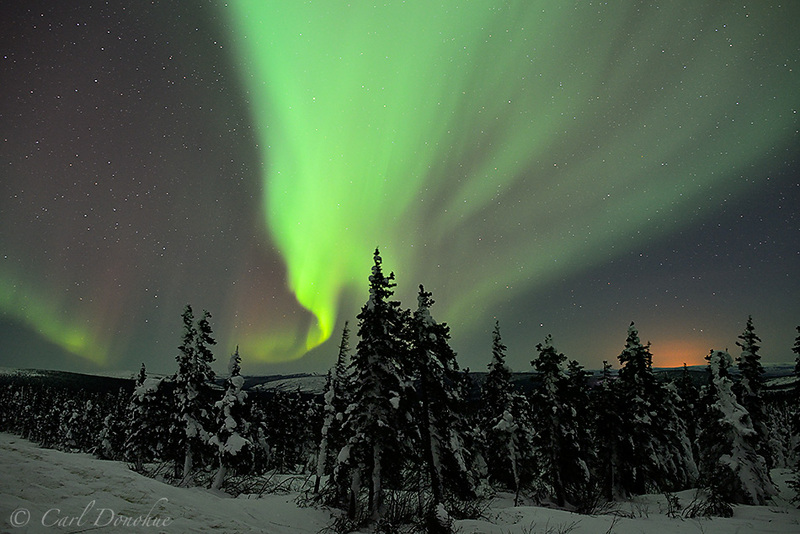 This entry was posted in Adventures, Alaska, Landscapes, Northern Lights, Photo Tours and tagged aurora borealis on September 1, 2013 by Carl D.
Aurora borealis, or northern lights, over spruce trees, White Mountains near Fairbanks, Alaska. Please click on the image above to view a larger version of this photo. Apologies for the long delays in getting back to the blog. 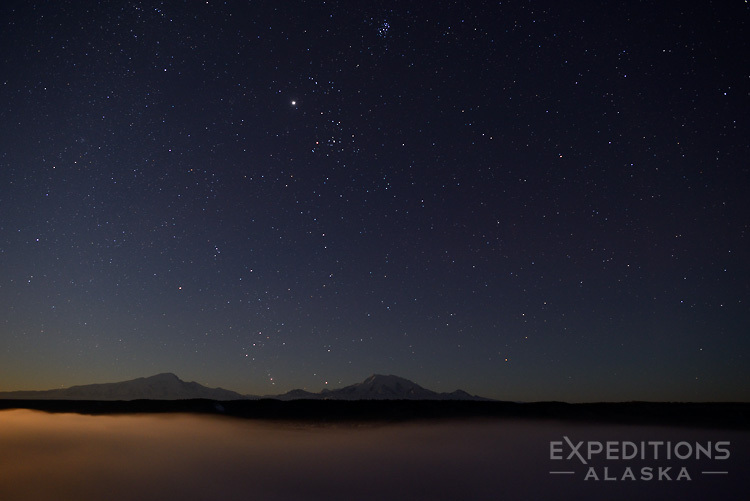 I’ve been busy working on a new website (details coming soon enough, I hope), and then the last couple of weeks over in Wrangell – St. Elias National Park for a snowshoe trip, and then a week in central Alaska looking for the aurora borealis. Now I’m back for a couple of brief days before heading out again to the park for another trip, snowshoeing and photographing. So I won’t be around much at least for another week or so. 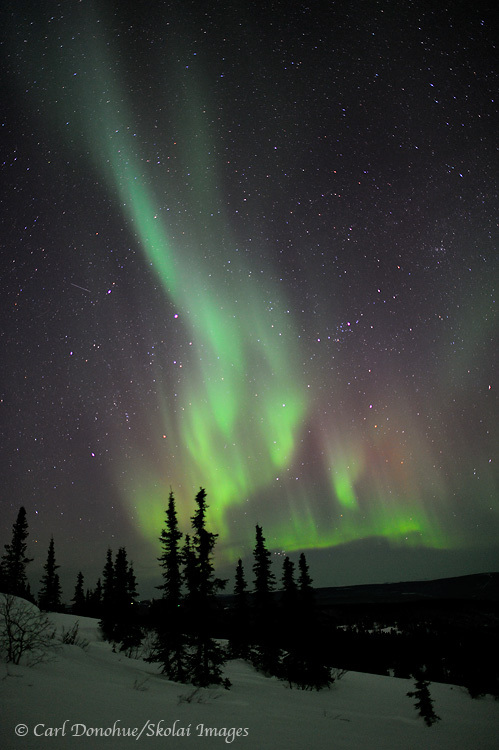 This shot was from last night in the White Mountains, just north of Fairbanks. 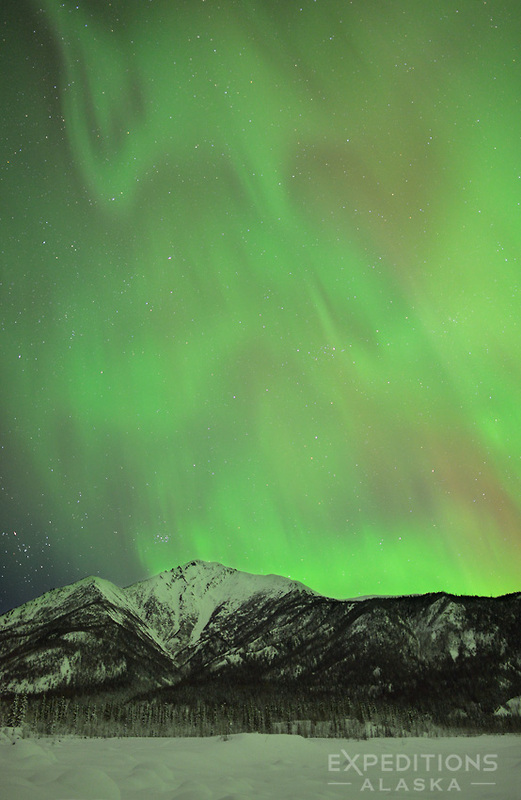 The aurora rocked all night long. 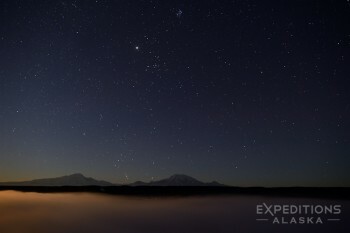 We got back in the cabin at a little after 5, then up at 9, breakfast, and on the road back to Anchorage. I was hoping to go back out tonight, but I don’t see that happening at this point. I’m tired. 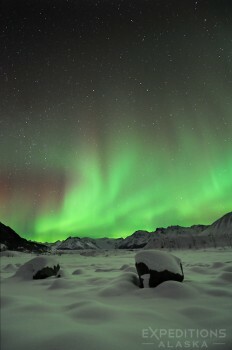 People tend to underestimate how difficult it can be to shoot the aurora. It means long nights, and often little sleep. And very often, very little good photographic fortune. But sometimes we get lucky. Hope you enjoy this image of the aurora. This entry was posted in Adventures, Alaska, Northern Lights, Photo Tours, Winter and tagged aurora borealis on March 16, 2012 by Carl D.